Do you want to find a new house in the Denver area? If so, you will likely have a lot of company! The Denver area is an excellent place to buy a home. In our latest post, we will discuss creative ways to go about buying a house in Denver and the surrounding areas! Finding a new house in Denver can be easier than you think! You don’t have to spend months agonizing or worry that you have ended up with the wrong house. There are many great ways to find a new house in Denver! Wholesalers sometimes get a bad rap. Wholesalers are simply professional property buyers who are able to offer excellent discounts to people looking to buy a home. They acquire these properties through auctions, estate sales, from banks and sometimes from sellers directly. They know how and where to find amazing deals, which allows you to buy a house at a discount. UsedPropertyTrust is consistently helping sellers by purchasing their houses directly, as-is. We are then able to resell the house at a great price to you! Tell everyone you know and people you meet that you are interested in buying. The UPS man’s sister might be selling her house, and you could learn about it before she puts it on the market. By putting it out there that you are ready to buy a Denver house, you will be surprised at the opportunities that come your way. Simple networking can lead you to the house of your dreams! You never know who might be selling their house! 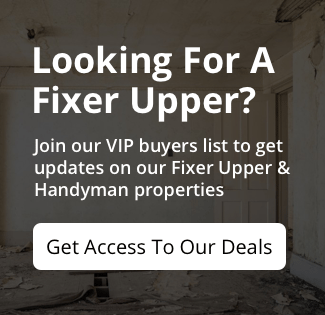 Always take caution when buying a fixer-upper property. However, if you do a little homework, you can sometimes find a tremendous deal on fixer-upper properties in Denver. For example, a house may sell for 40k less than it is worth, but only need 20k in renovations and repairs to make it look brand new. You will also have the added benefit of finishing the house however you would like. Adding your own counters, bathroom fixtures and other personal touches can be a great benefit as a buyer.